As an experienced garage door fitter, Easy Roll Garage Doors take immense pride in the delivery of genuinely personalised services for domestic and commercial clients. Since we first started over thirty years ago, our company has grown to become one of the most popular choices for garage door repairs and garage door installation in Leeds, Wakefield and the surrounding areas. We supply and fit a wide range of market-leading products which includes up and over, automated and roll-up garage doors. 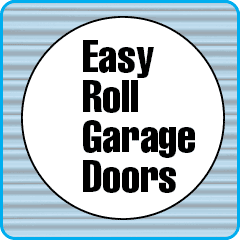 Because we operate as a small and fully independent garage door fitter, Easy Roll Garage Doors can provide the customer with a fairly-priced, high quality service on every project undertaken in and around the Leeds and Wakefield areas. We have a diverse client base covering everybody from homeowners to local businesses and retail outlets. Our reputation is built on professionalism and the quality of our garage door repairs and installations.